I’m lucky. I don’t take it for granted that my friends are spread far and wide, so when I “have” to go overseas to teach, I also get to mix in the fun of spending time with friends that I don’t see often enough (off my Skype screen). 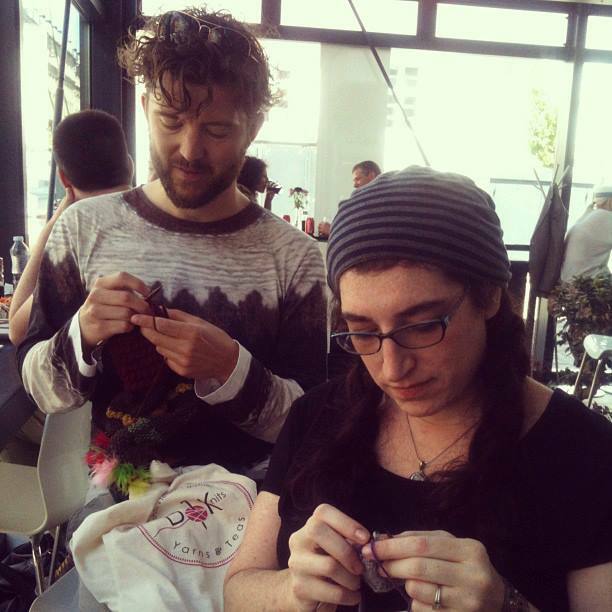 When the workshop in Holland came up, I was quite happy to be able to add a visit to Copenhagen and the Danish Countryside to my trip, guided by my good friend, and partner in yarny mayhem, Vithard Villumsen. After an uneventful flight, I was able to arrive in Copenhagen in the morning ready to hit the town! Vithard started by taking me to Christiania. Christiania is a unique “free society” just about 10 minutes outside Copenhagen. 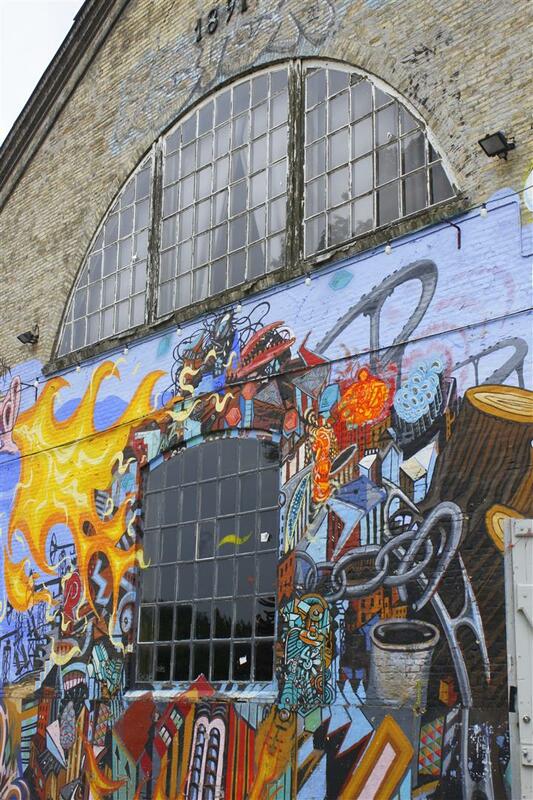 Once a group of squatters that overtook an abandoned military base and created it’s own society with currency, laws and businesses that were outside of traditional Danish law and society. After 4o years, it’s now a legal town full of a creative energy that’s unique. We walked through the small streets that were filled with bright street art, cafes and shops. Vithard took me to his favorite vegetarian cafe where we shared a plate of fresh salads and thick dark Danish bread with fresh butter. After lunch we headed back where we were staying to change for dinner and a party at his brother’s house to celebrate his recent Masters degree. It was a lovely evening, full of great wine, great food, great people, lots of laughing, lots of dancing and lots of shots of a Danish pomegranate liqueur.. 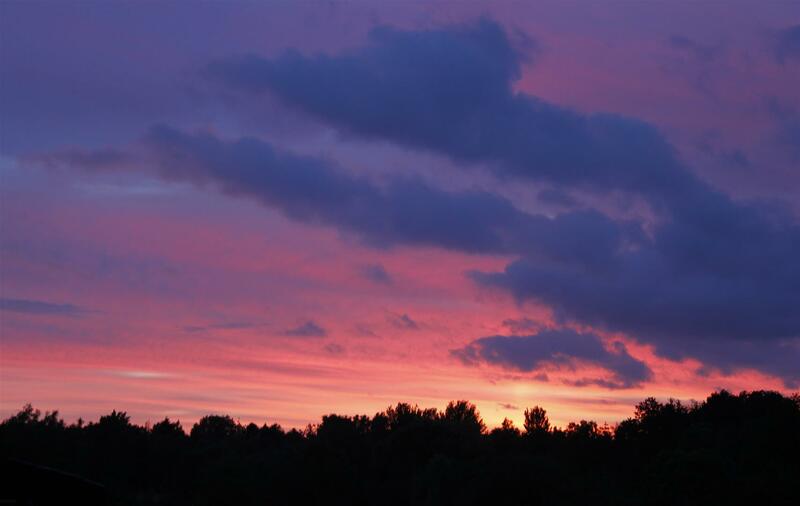 I haven’t gotten home when the morning birds were chirping and the sun was beginning to rise in a very long time.. It was a great night indeed! The next day started slowly and quietly. We decided to cure our hangovers by going to see a couple exhibits at the Louisiana Museum, one of Vithard’s favorite spots. There was an exhibit he had seen and told me about I was excited to see, along with a Yoko Ono exhibit that looked interesting. Both exhibits were fantastic. 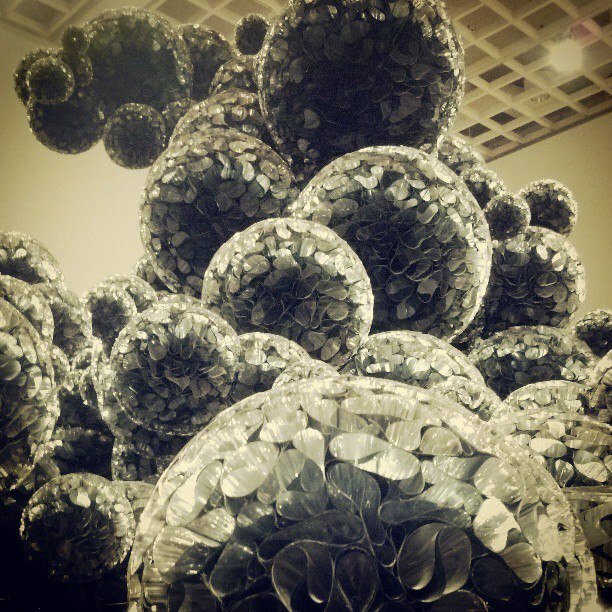 The Tara Donovan works were really amazing. The ability to manipulate “everyday items” into works of art is truly inspiring. 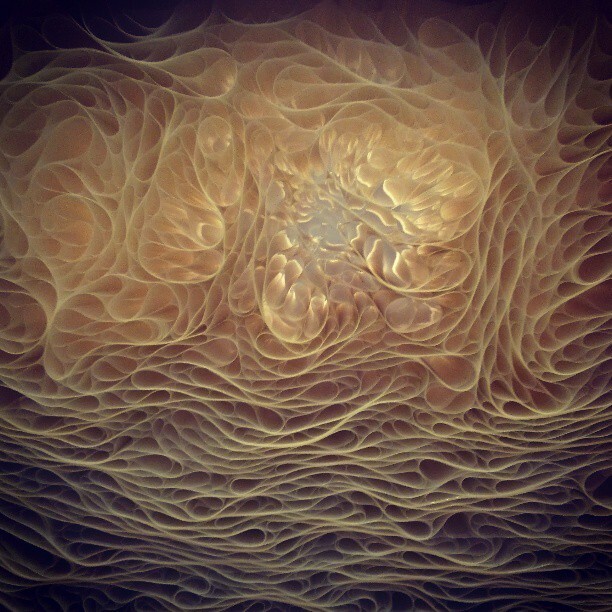 She had swirling sheets of polyurethane and a HUGE sculpture made from balls of silver film tape Also amazing were the cubes of toothpicks and glass sheeting held together by gravity and friction. 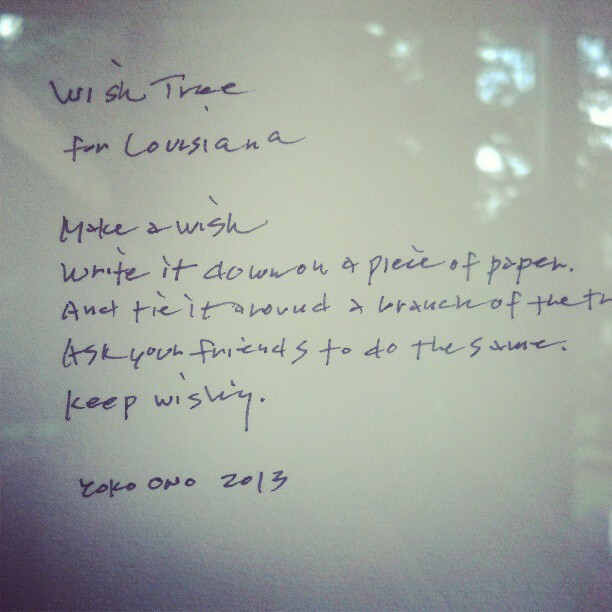 The Yoko Ono exhibit was also quite enjoyable. It contained a mix of her medias… film, performance art, audio, sculpture, audience participatory, painting and drawing. I admit, with a hangover, the audio was the most difficult to appreciate, but it was quite impressive having all of the work in one place. The piece I enjoyed the most was one that required participation. The Wish Tree. 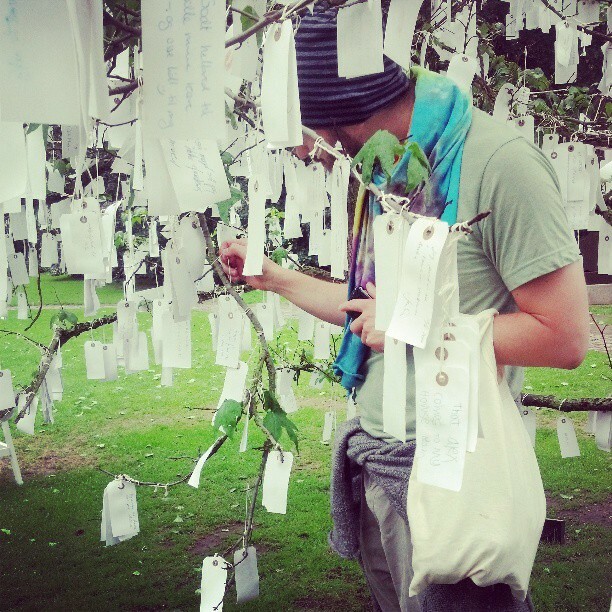 She asked that people write a wish on a tag and hang it from a tree. Then all the wishes are collected and sent to Reykjavik and are housed in the Imagine Peace Tower. I found this a profound statement and we spent some quiet minutes with our wishes before hanging them on the Tree. As we walked around the museum we knit and chatted. 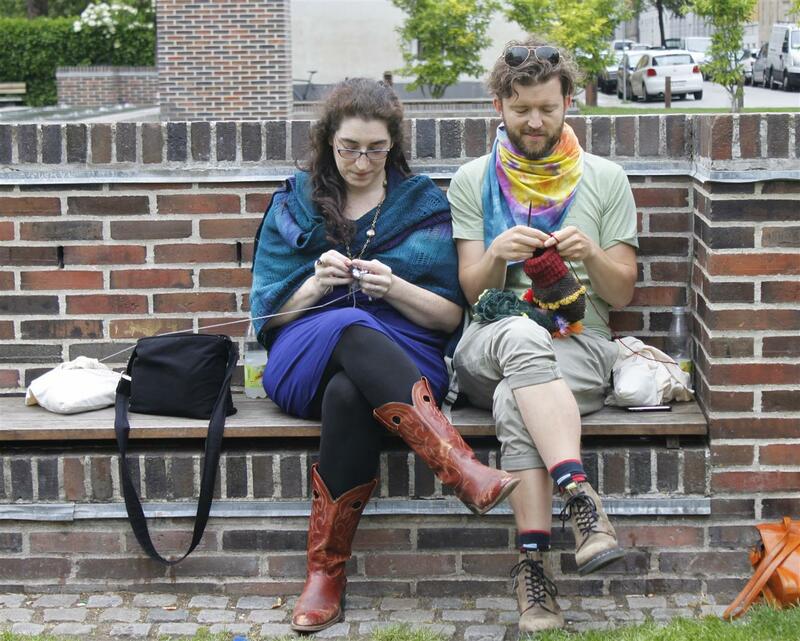 We were approached a couple times because of our knitting. Someone even took a photo. As Vithard says, “You must never underdress when knitting in public.” After the museum we headed for some park knitting where we met his sister and then went to an awesome sushi dinner. 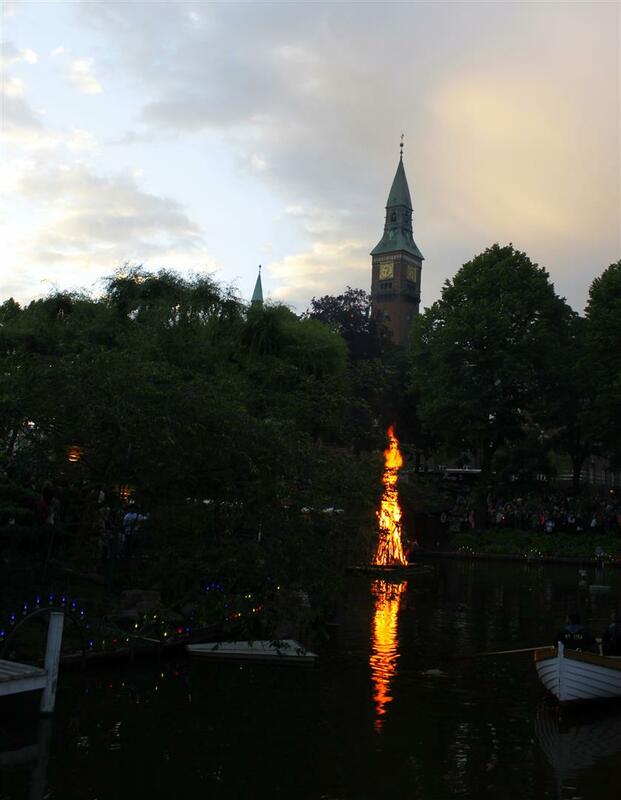 It was MidSummer Night, so after dinner we headed to Tivoli Garden to watch the bonfire being lit and eat some ice cream. 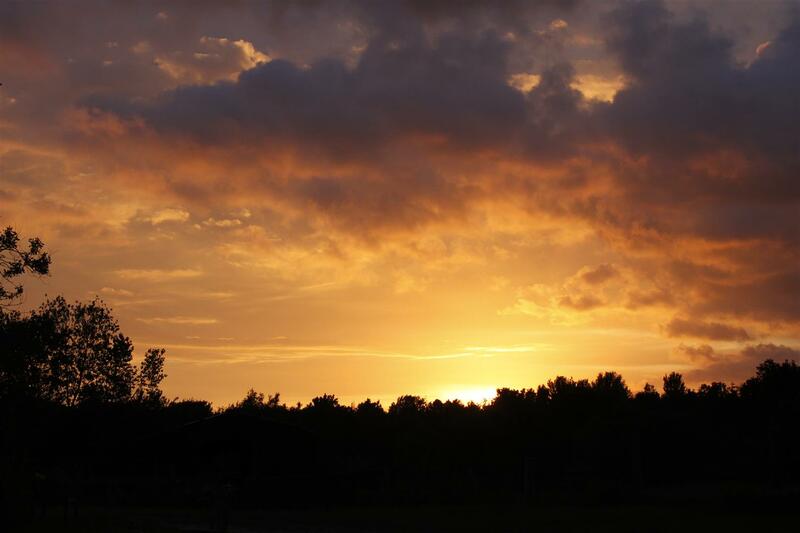 MidSummer in Denmark is the night when people get together all over the country and light bonfires and sing a traditional song. We ate ice cream in waffle cones with 2 scoops (I got sorbet) whipped cream, berry jam and a choclate covered cream puff (this delicacy was called “The American” . 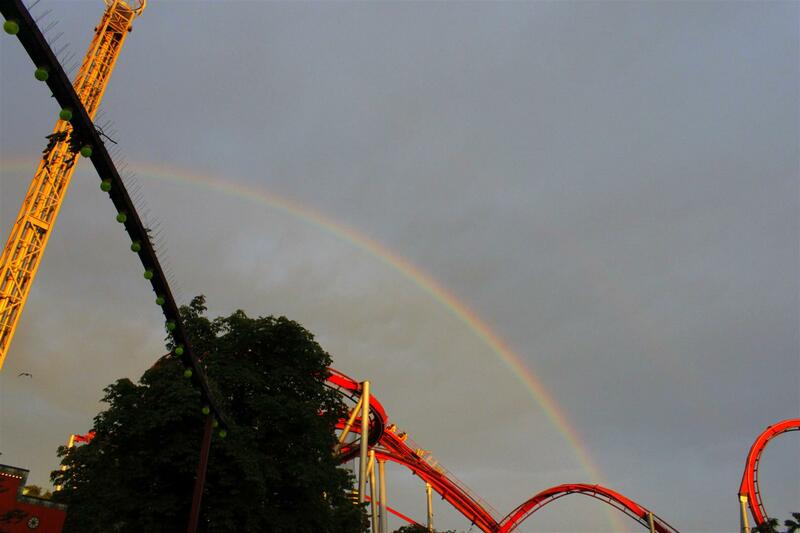 I wasn’t sure if I should have been offended or honored) While we waited for the bonfire to be lit there was an amazing double rainbow above the park. After the bonfire was lit and the song was sung, we hung out on a bench and knit some more as the people streamed out of the park. We got lots more looks and even some thumbs up for our OUTRAGEOUS knitting!! 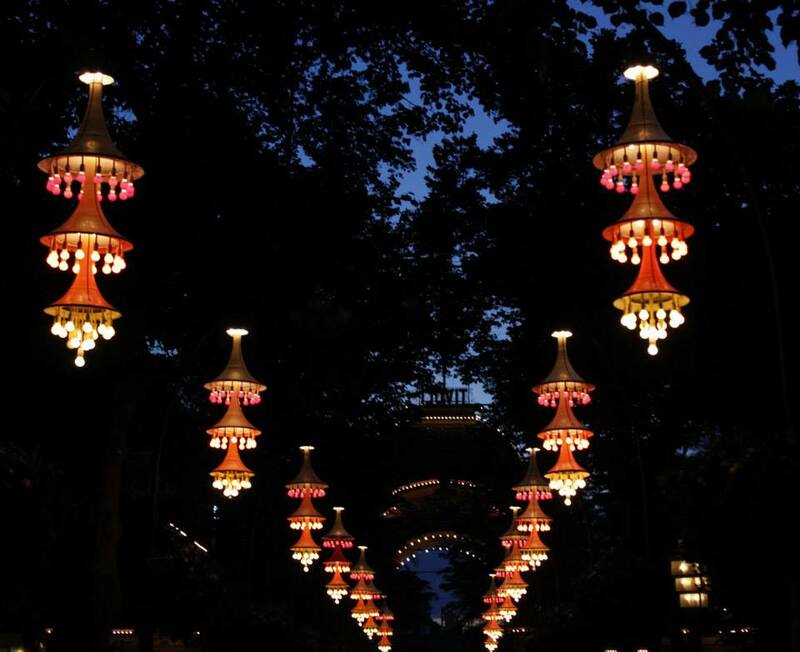 We walked out under some beautiful lights.. lamenting on how we wished we could’ve gone on the roller coaster.. but due to the lingering hangover, the sushi and the ice cream.. it was best that we just saved that for next time.. The next day Vithard showed me his favorite spots around Copenhagen. We went to the most AMAZING trim shop.. with feathers and ribbons and zippers and buttons in EVERY color and texture imaginable. It was SO inspiring and I could have dropped my mortgage payment quite easily. I got some awesome ribbons for my Mohop shoes, and Vithard got an incredible piece of vintage lace for some creative garment design. 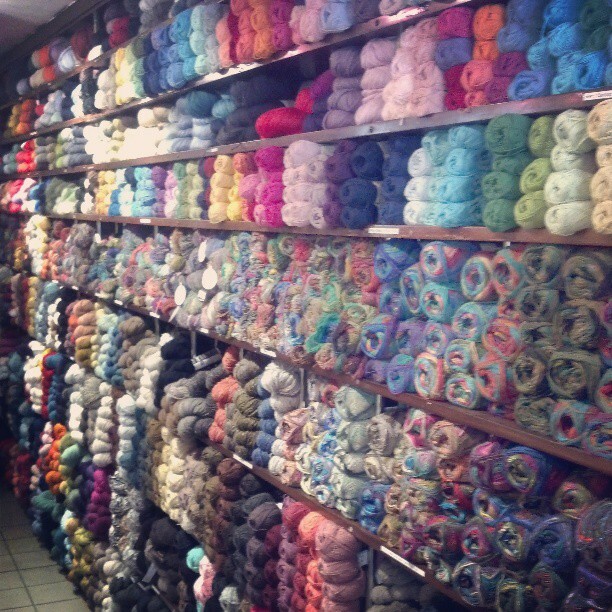 He also took me to a colorful yarn shop, Sommerfuglen, where he’ll be teaching and leading a men’s knitting group. I couldn’t pass up some amazing tussah silk tweed yarns on cones for weaving. After walking through some more amazing design shops and art galleries we stopped in a marketplace for some super yummy fish taco’s (and some fish taco knitting of course) and we couldn’t pass up a fresh strawberry cream puff. Then headed to the Mikkeller bottleshop so I could make my husband the happiest ever and bring him home some special brews. If you like craft beer, and haven’t heard of Mikkeller you should do so quickly. I win best. wife. ever. award for the trip, and had a good time filling my basket of goodies. After a wonderful dinner with Vithard’s siblings we headed back to his place in the countryside. 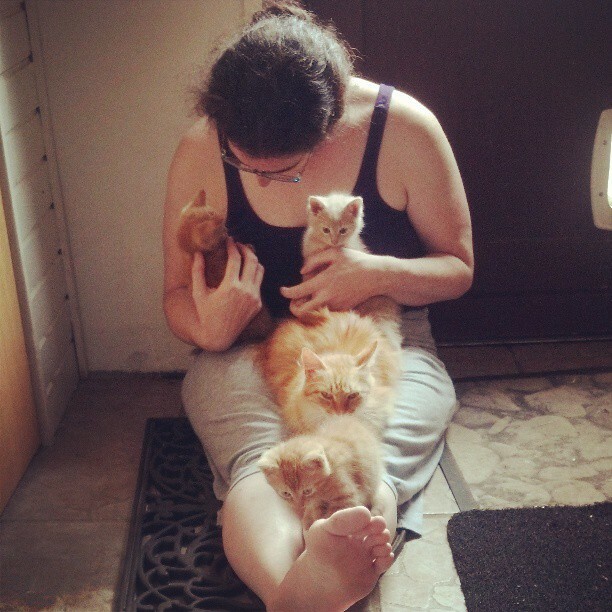 That night and next day was filled with KITTENS (who doesn’t love kittens), idea brainstorming, laughing, project rifling (and some swooping.. and failed swoops alike), knitting, yarn petting, wine drinking, recipe sharing and a tour around the farm . Karen, who owns the farm where Vithard lives, has angora goats, angora rabbits, fiber sheep, a beautiful garden and a super yummy little shop where she has dyed fiber, pelts, and beautiful handspun handknit sweaters. 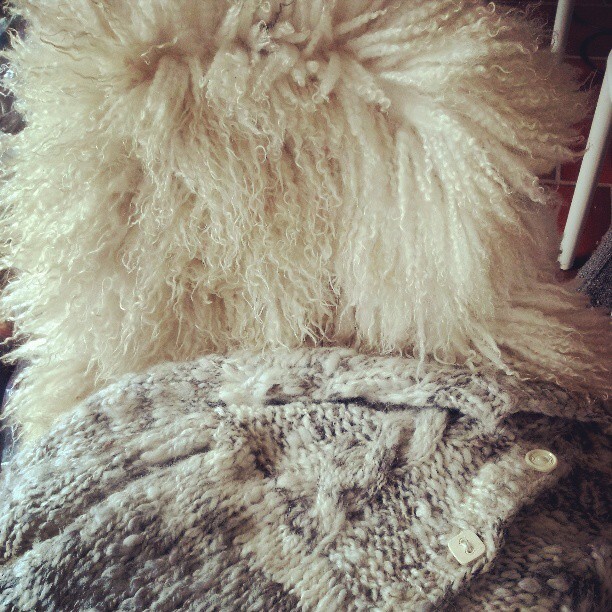 I had to treat myself to a soft curly pelt from a Swedish sheep and an amazing neutral sweater with cables. 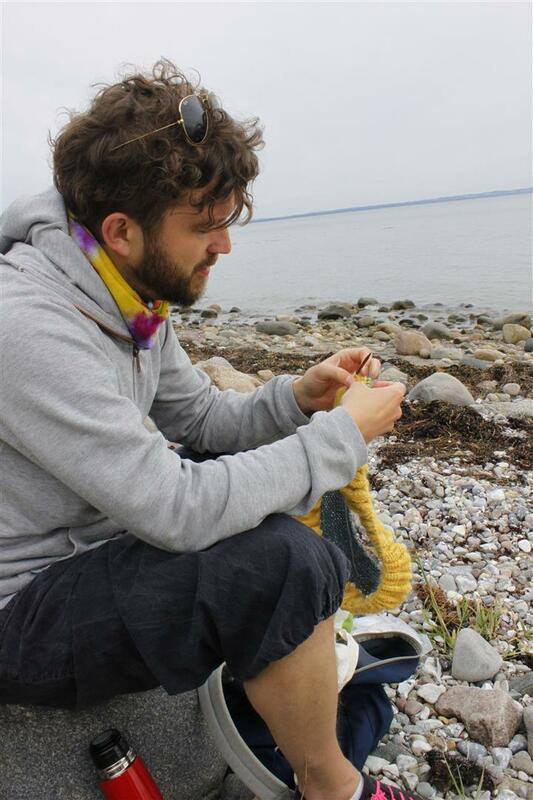 In the afternoon, we went on the most beautiful walk through the woods to the beach.. complete with beach knitting, coffee and snacks, more laughter and the profound energy of the space. It’s amazing what just listening to the sound of the water and the wind in the trees can do to your soul. It is a reminder to me not to get so caught up in the whirlwind of my chaos and take time to balance and appreciate the quiet moments. After we finished our knitting and snack we headed back to Vithard’s to cook dinner together and drink some amazing Boeger wine. There was more rifling (this time him through the fiber I’d brought) and an incredible rhubarb crumble that Vithard made. 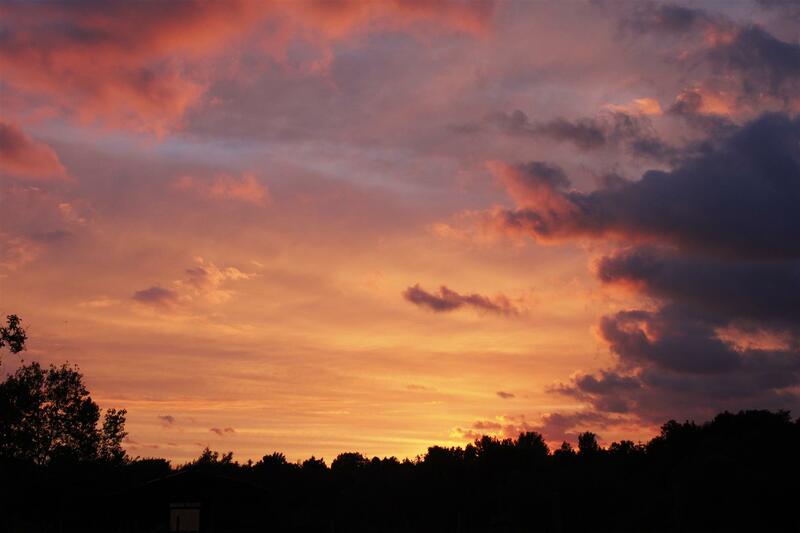 We were treated to one of the most beautiful sunsets I’ve ever seen. It gets dark so late, the sunset felt like it went on forever.. and it was what Lexi calls a Unicorn Sunset.. full of breathtaking colors. It just went on and on, and then when we thought it was over, 30 minutes later it was an entirely different palate. It was a beautiful and inspiring day, and this end was just icing on the cake. After dinner and project rummaging, I packed my goodies and all my stuff (minus some fiber that was swooped). Then early the next morning we were off to the airport for my flight to Holland, where I would teach with Suzy Brown of Wool Wench for a week of spinning and weaving fun. I’ll post about that fun in my next post..
Did I mention that I’m lucky? I have great friends. Amazing creative, inspiring friends all over the place, that are amazing hosts and allow for fun to mix with work.. for way more fun in the work!! If you want to see all the photos of our fun, check out here. And NOW I’m working on weaving, spinning and spinning and carding and dyeing for Stitches Midwest, the Fiber arts Cruise and TWIST!!! YIKES!! and Article #2 for the project I haven’t divulged yet. I just have to keep spinning!! I hope to see some of you on the next trip! ← Fun in Maryland, and Summer Begins!